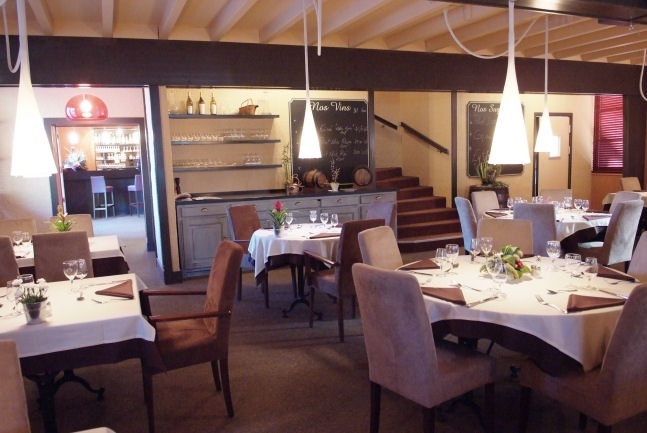 old-style house and a contemporary renovation, which offers a menu faithful to Jura products with nice inspirational touches and following the market seasons. 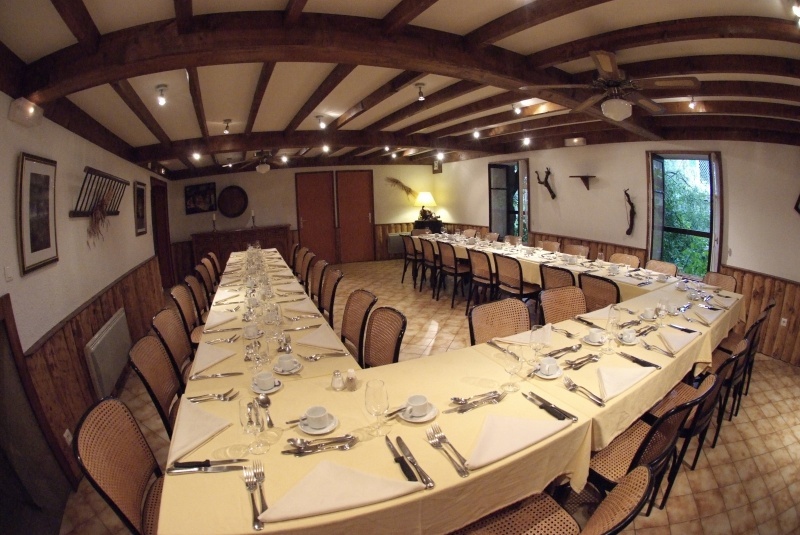 The Banquet Space (Reserved for groups of 50 guests) is at your entire disposal to welcome you as a family or a group, for Christenings, weddings, parties and excursions in Arbois. 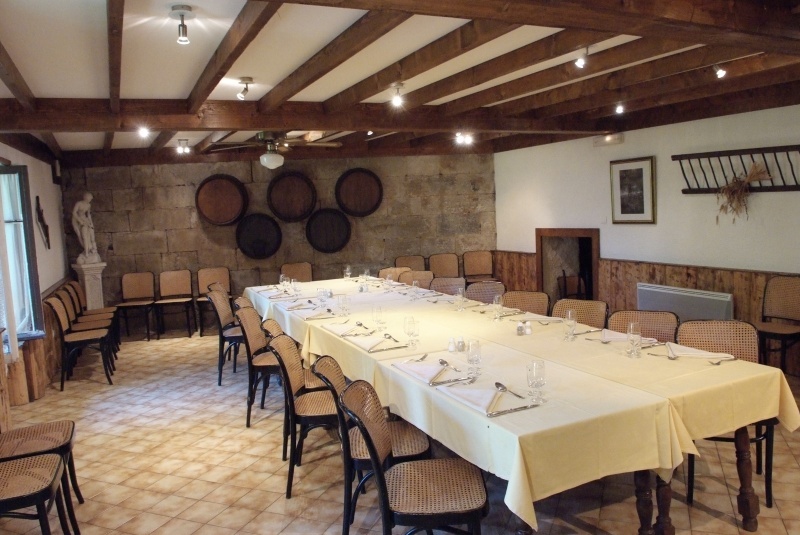 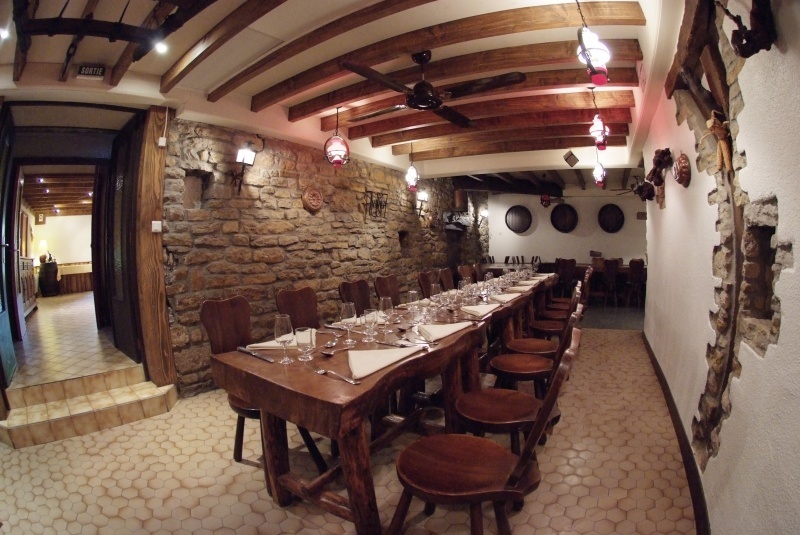 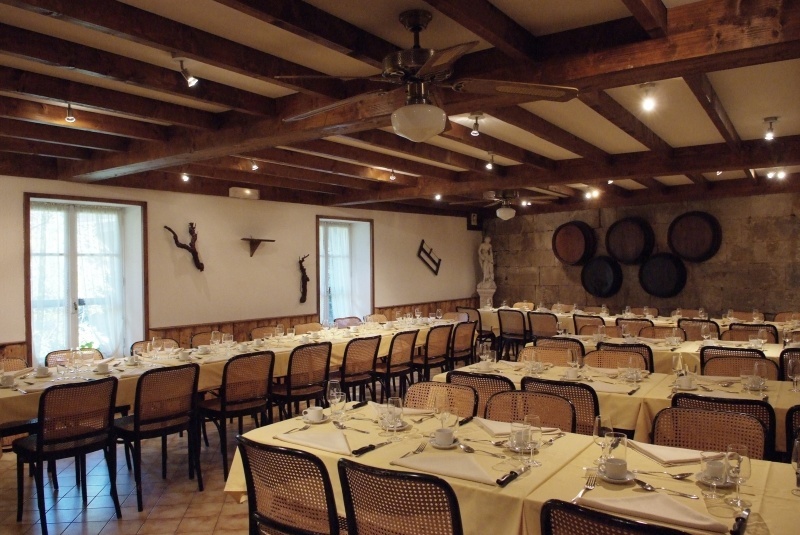 Le Caveau Vigneron (The Wine Grower’s Cellar) (Reserved for groups of 40 guests), with an evocative name, in a typical decor with a vineyard theme. 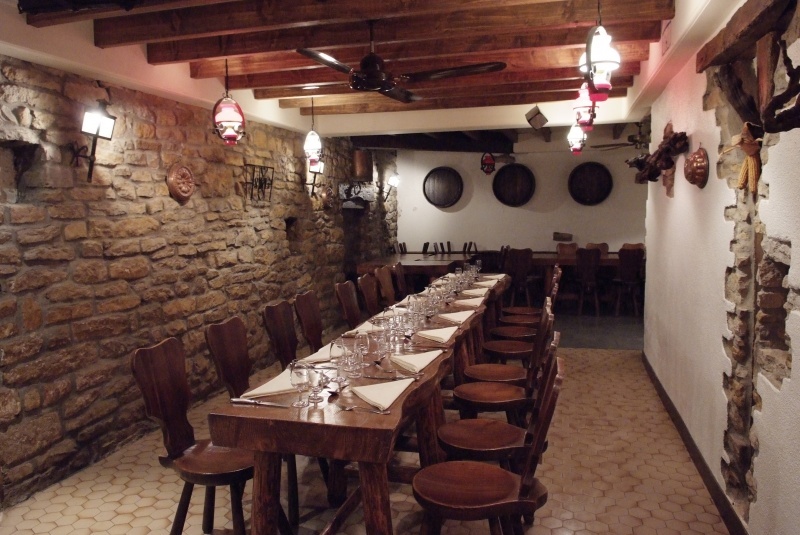 This place is synonym with rejoicing, conviviality and of course: taste. 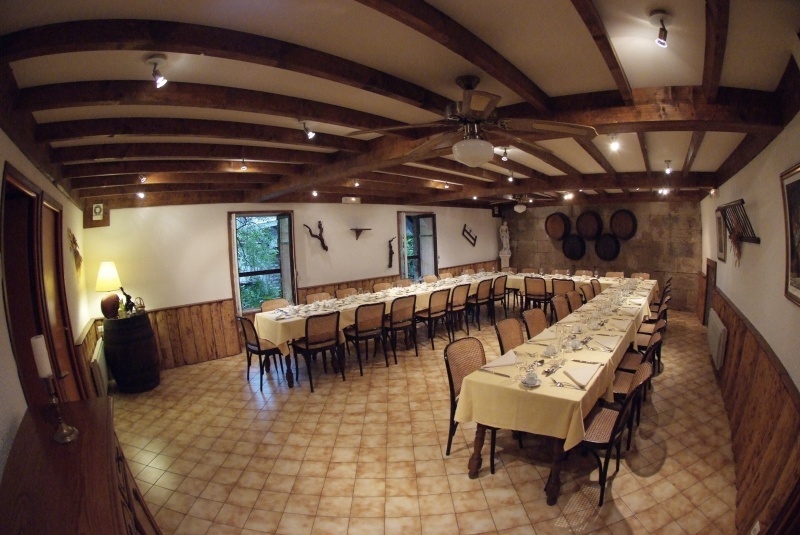 It is an opportunity to taste the famous “Coq au Vin Jaune et aux Morilles” (Cockerel / Rooster in Yellow Wine and Morel Mushrooms) served with a range of tasting Savagnins (famous local vintage) selected by Véronique. 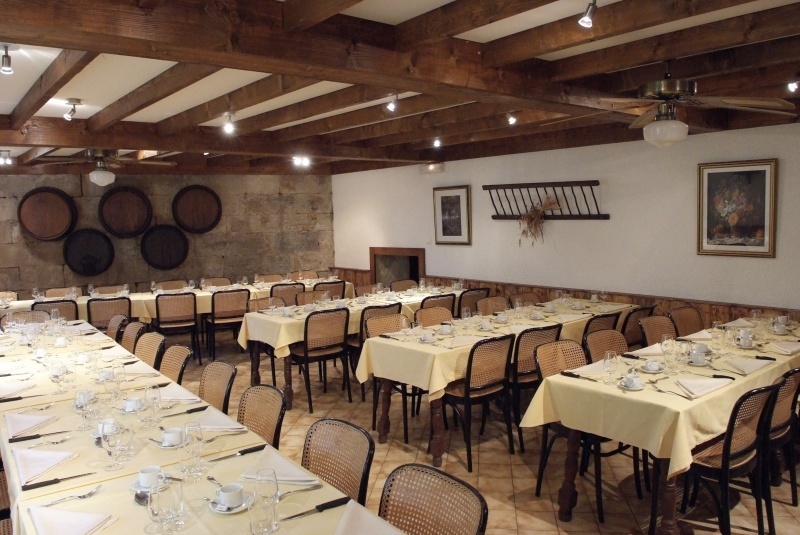 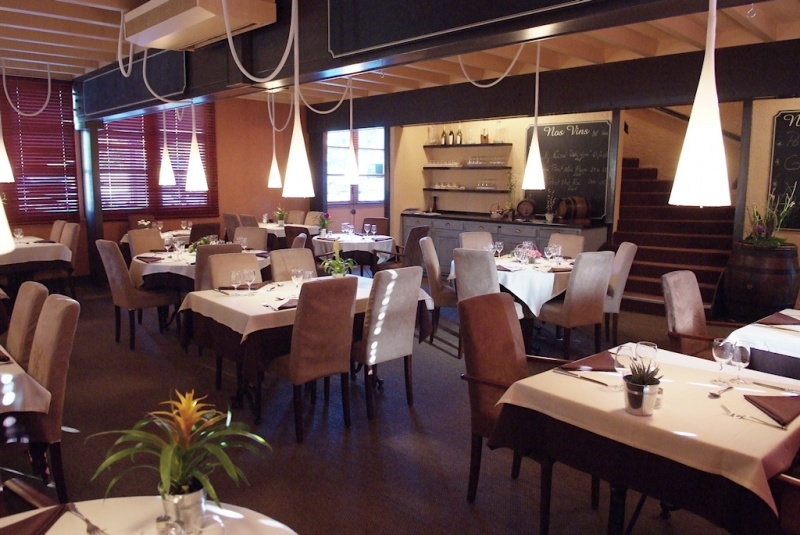 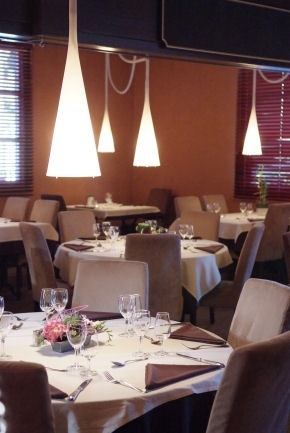 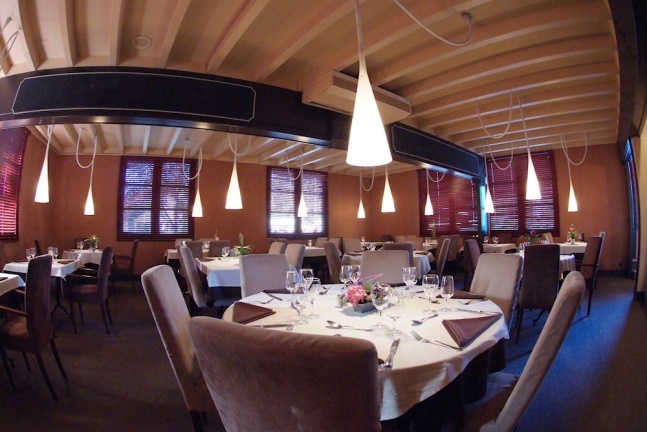 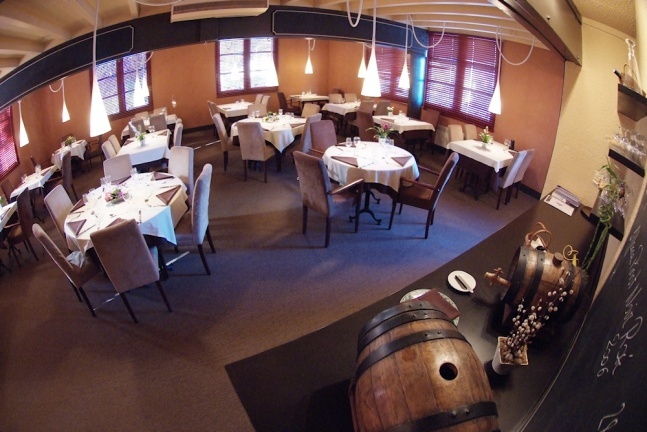 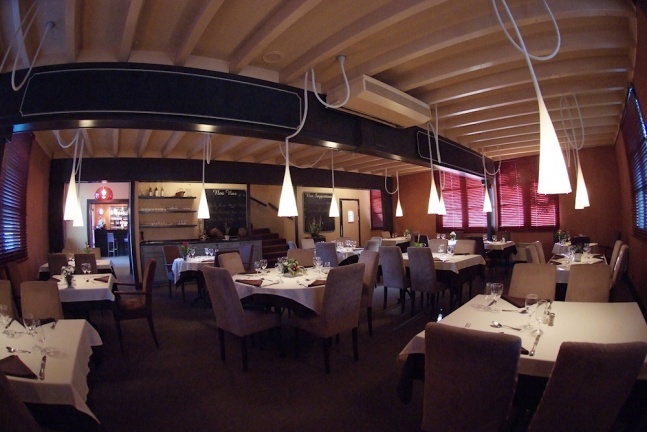 The restaurant has a total capacity of 200 guests split throughout the three dining rooms. 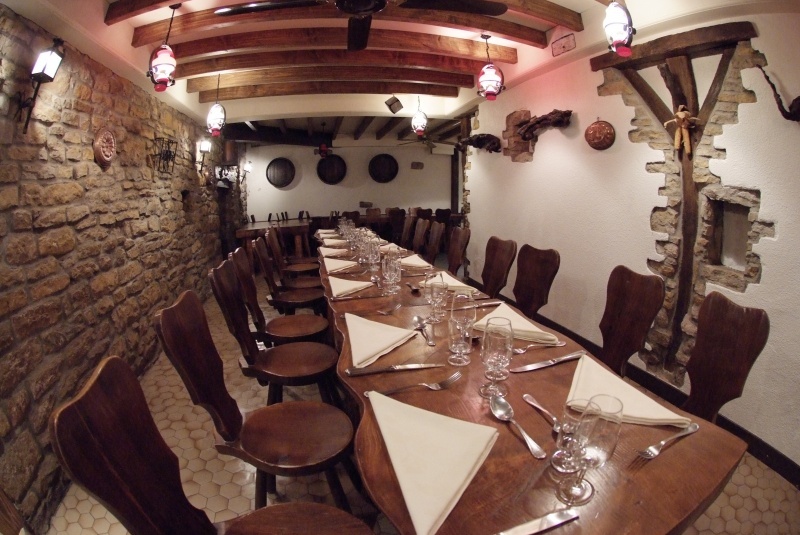 Please do not hesitate to contact us for reservations or rentals : contact@caveau-arbois.com.